My memories of these projects are a mix of satisfaction and frustration – the right layout or a misspelt heading or once, a spectacularly bad portrait of Captain Cook, seemed to separate the great projects from the ordinary. But what of the actual content? For most of my primary school years, I visited the library to access both the books and, most importantly, the set of encyclopedias. Because all project research began with the ever-dependable facts and figures that could be found in encyclopedias. 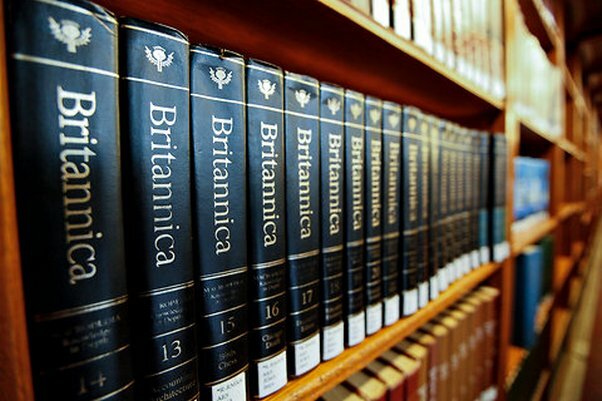 My local library had a set of Britannica – need I say more? It was the top-of-the-range encyclopedia set and I loved it. 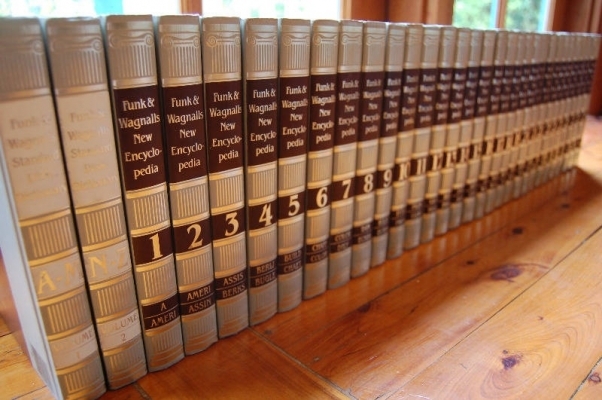 I vividly recall our neighbours getting a set of Funk & Wagnalls. I was invited to use them whenever I needed. They probably didn’t expect me to be knocking on their door every other afternoon, and making myself comfortable in their lounge room as I browsed the encyclopedias but that’s exactly what I did – just like there’s an internet-blackhole, where you search for something and emerge an hour later having discovered a million other unrelated things, encyclopedias were full of the unknown (and without doubt, more educational than grumpy cats memes and backyard stunts on YouTube). When I was in Grade 6, the supermarket ran a promotion allowing you to obtain one volume of Columbia Encyclopedias each week. My mum began collecting and simultaneously made room on the bookshelf (a set took up quite a lot of space). With the final volume came the glorious feeling of being able to race into the lounge room, pull out the appropriate gold-lettered volume, and have the answer at my fingertips. I was thinking about encyclopedias after stumbling across this article about someone who deleted the internet from their phone. It did make me wonder how much of what I look up I really need to know (not much), and would I still look it up if I only had a set of encyclopedias for information (maybe). It also made me think about how kids research projects these days. 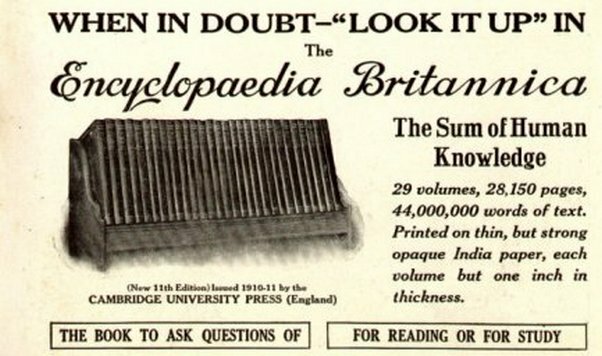 Encyclopedias offered answers but also an ‘end-point’ to the question – sure, you could read an encyclopedia cover-to-cover but ultimately the information was limited to what was printed – quite different to the internet where looking up ‘natural disasters’ returns 36,400,000 results. And then you have to consider the quality of that information. Who has it better? The sentimental part of me says we did – encyclopedia-wrangling was far superior to internet-wading however, I would have gladly done away with the tracing paper and poorly drawn maps for something as flashy as PowerPoint. This entry was posted in Learning and tagged library, reading, technology by Kate W. Bookmark the permalink.